Learn the basics of working with paper pulp in this three hour workshop. 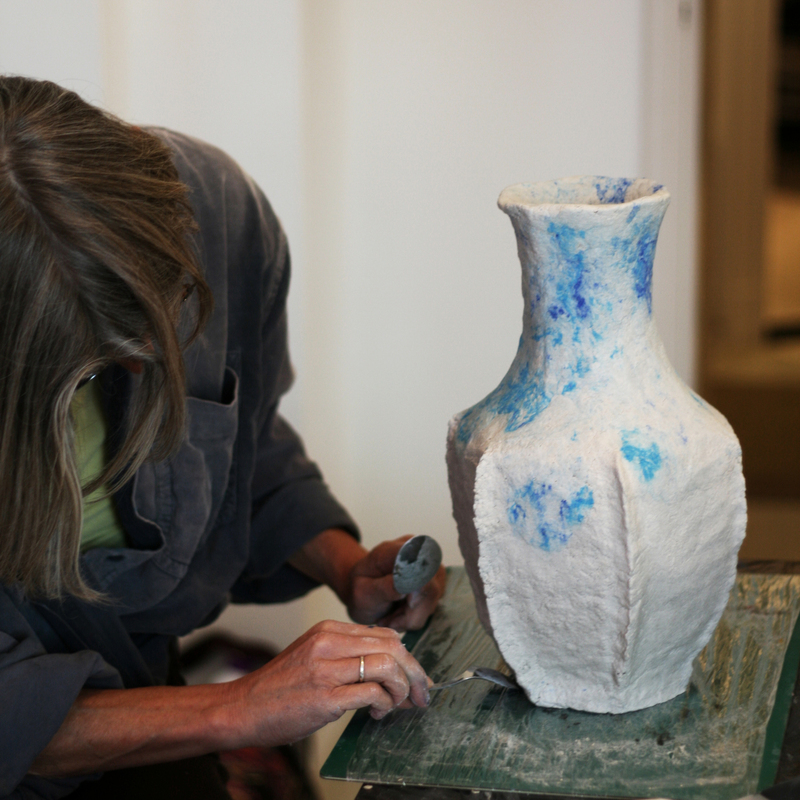 If you can’t find the perfect lampshade, vase, stool or other accessory for your room, this workshop offers you the chance to customize existing objects with paper pulp to create your own individual and unique interior piece. The workshop will start with a short introduction about paper pulp and how artists use it today. It will then quickly move into the practical side of making: preparing the paper pulp, experimenting with paper pulp and decoration techniques on a basic shape, and customizing your own object. €55,- // including materials*, coffee or tea and a snack. *The workshop fee includes the cost of a range of materials, supplied by Debbie Wijskamp, shared amongst the group: readymade pulp, glue, basic mould shape, sandpaper, and colourpigment. You can use the materials and tools available in the workshop. Feel free to bring your own. Participants are asked to bring their own object(s), for example a second-hand lampshade, vase, stool or other accessory. Minimum 3 to maximum 6.